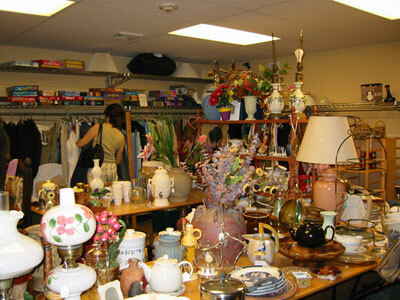 Home ▻ Storage Auction Blog ▻ Storage Auctions are a Great Source of Inventory for a Resale Shop. Storage Auctions are a Great Source of Inventory for a Resale Shop. It requires a certain expertise to locate the right find. If you’re in the resale business, own a thrift store or an antique resale shop, storage auctions are a great source of fresh inventory which you can turn into a profit. Antique shop owners can benefit from the abundance and variety of items found in storage auctions. Stocking the shop is quicker and easier with storage auctions than shopping yard sales or garage sales every weekend. Jarrod and Brandi from the hit television show Storage Wars are experts at finding inventory for their thrift store and online shop called Now and Then Second Hand Store. They are pros at teaming up at storage auctions, and generally know exactly what they’re looking to get; inventory. Everyone hopes to find the pot of gold on the other side of the roll up doors, but if the items found are properly priced and displayed in antique and thrift shops, they do end up filling your pockets with a hefty profit. As a shop owner, you will want to find things that can be resold. They must be in good condition and important to a collector’s eye. Storage auctions offer you an opportunity to find exactly what you are looking for. The age of the storage unit may be a clue as to what you’ll find inside. The location of the storage unit and area demographics can also be telling. There is a bit of gambling that comes into play with deciding on a unit. Always remember that there’s a buyer somewhere for every item you find. If your shop is only focused on specific items, network and make connections with other sellers in the area. You may be able to make a quick smaller profit by supplying other shops with items from your storage auction that you won’t use in your shop. Whatever you choose, there’s definitely enough local storage auctions happening right now. You’re not obligated to bid on a storage auction simply by showing up. If you’re thinking about turning this into a career, we urge you to attend a few and simply watch and learn. It’s amazing to see these pros in action and watch the storage wars right before your eyes. The example set by Jarrod and Brandi prove that storage auctions are a great source of inventory for any resale shop.